YEEEE HAW! We had an amazing 192 participants link up their blogs with us last week! Grow blogs grow! Exciting news about our Facebook hop! The Facebook Frenzy Kicked off with a BANG! We had an incredible 157 participants link up their Facebook pages and this was only our first hop! People were "Liking" so many other pages so rapidly that a couple even got locked out of their Facebook accounts! This is a MUST join hop. Link up with us again this Monday at 5pm central. You won't regret it! In light of the news about Google reader being discontinued in June, We have decided to offer an additional link up to today's hop for Bloglovin. 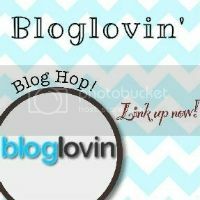 Bloglovin is trending as the new Google Reader alternative so if you will be loosing multiple readers due to this change, we encourage you to link up your Bloglovin URL in the Linky tool below our regular linky. If this seems to go well, and we have multiple people interested in increasing their Bloglovin followers, we will continue to offer this addition to our hop! PLEASE LINK UP YOUR BLOGLOVIN URL! Use your blog's URL to link up in our regular linky. You can participate in both! Start with the ones who made this hop possible! Our lovely March team! Interested in Co-hosting our Linkin with my ladies hop? We would love to have you! contact us for more detail's. Want your blog to be one of the first blogs seen at the hop? Become a sponsor of Dysfunction Junction by purchasing ad space! All Sponsors will have the opportunity to link up prior to the hop going live (Only valid for ad space purchased after 3/10/13) CLICK HERE for more details! Link up you Bloglovin URL here! Thanks for co-hosting. I am also now following you on Bloglovin'. Thanks for co-hosting. Following you on BlogLovin', of course! New follower, thanks for co-hosting! 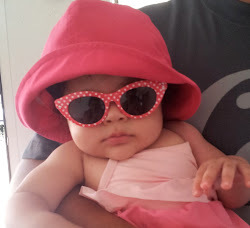 Stopping by through the Linkin's with my ladies Blog hop! I'm your newest follower! Thanks for co-hosting! Already one of your followers. thanks for co-hosting the LWML hop again! I'm now on Bloglovin', too! yay so excited to be linking up for the first time! thanks for co-hosting! Thanks for co-hosting LWML this week. Thanks fo visiting my blog. I`ve joined this wonderful party, and following back ofc. Thanks for co hosting this party, I'm already following you with GFC and google+, I'm following you now with bloglovin, I'm now on Bloglovin !hope you 'll follow me back. Thanks for co hosting this party.Following via GFC and now Bloglovin.